Tamara Yachmentseva had planned a long, happy retirement with her husband. But it was not to be. Shortly after he stopped working he suffered a devastating stroke and passed away, leaving the former kindergarten teacher widowed and alone. Distraught, Tamara’s health declined until she suffered a major heart attack. She could have become a statistic, yet another Russian pensioner to succumb to high blood pressure and cardiac problems. Fortunately, she enrolled in a hypertension program at a healthcare facility near her home in Konstantinovskiy that she credits with helping her turn her life around. Today, Yachmentseva is one of thousands in the Yaroslavl region of Russia to benefit from an innovative collaboration between the local health authority and Novartis, aimed at addressing the high death rate from stroke and heart disease. The program, launched in 2011, changed how healthcare is delivered in the region. Since the start of the program, deaths from strokes in the region have been reduced by 27% and from heart attacks by 12%. Hospitalization of hypertension patients fell 16%. Finding more effective ways to care for people is increasingly important at a time when governments and payors in many parts of the world face a difficult challenge delivering better quality healthcare to more people who are living longer, all in a time of economic uncertainty. 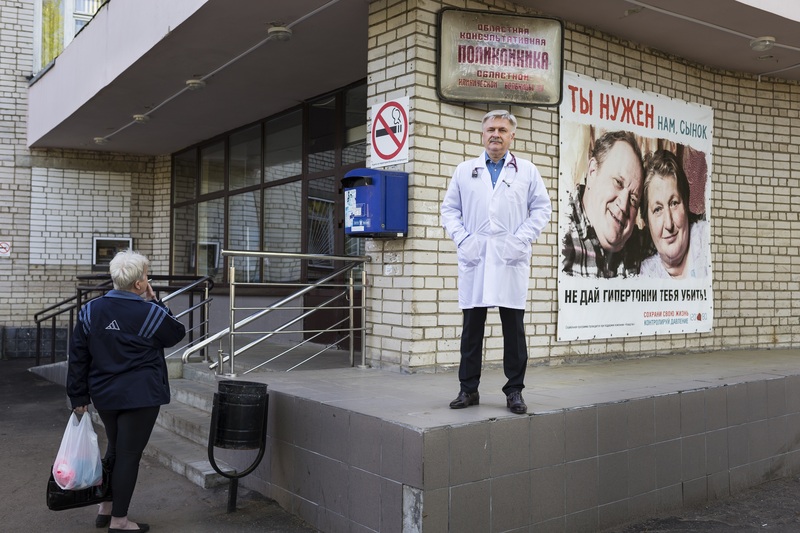 Persuading patients and healthcare practitioners to adapt their behaviors took time, but contributed to improved health outcomes for patients in Yaroslavl. Changes included encouraging medical staff to routinely monitor patients’ blood pressure and educating people about the causes of high blood pressure. Patients modified their lifestyle by adapting their diet and taking regular exercise, reducing their consumption of alcohol and tobacco, and monitoring their own weight and blood pressure at home. “It is no small undertaking to achieve a complete change of approach by healthcare practitioners and patients alike,” says Thomas Hach, senior director of Healthcare Systems at Novartis. When the program began, the extent of the health challenge was clear. The official death rate from stroke and heart disease in Russia was five times the average in countries belonging to the Organization for Economic Co-operation and Development (OECD). 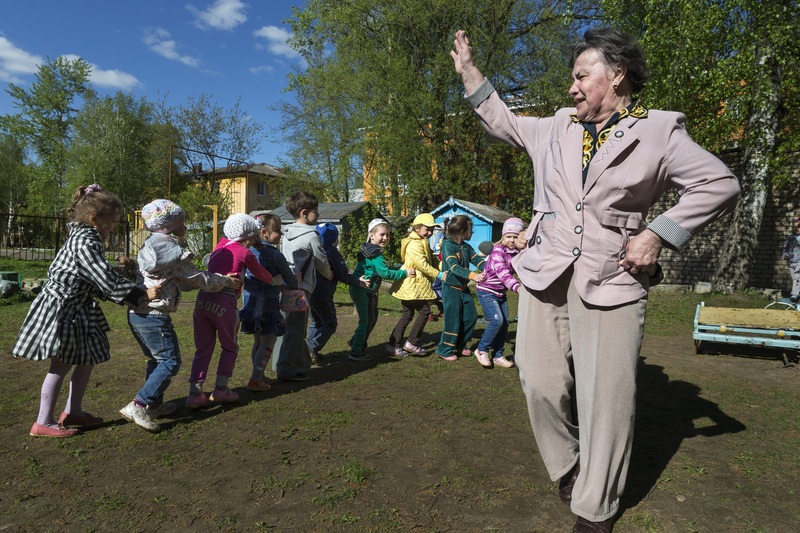 Life expectancy in Yaroslavl was stuck at 1960s levels, with women living to an average age of 72 and men to just 64. Government officials invited Novartis to work with the regional Department of Health in Yaroslavl to devise a program for tackling hypertension. Drawing on more than two decades’ experience from a Canadian hypertension education program, as well as Novartis Healthcare Systems’ expertise, the four-year Yaroslavl program launched in 2011. The program started at a cardiac center in the city of Yaroslavl, the region’s capital. The personal intervention of the region’s Governor provided the political encouragement for it to get underway. Work began with a wide-ranging diagnostic study involving almost 2,000 patients to see how their hypertension was being managed. Researchers conducted in-depth interviews with more than 500 patients to better understand how people themselves viewed their disease and its management. The findings enabled a Novartis team to devise a comprehensive plan to address the root causes of poor blood pressure control in Yaroslavl. Clinical treatment guidelines were updated to align with national standards and these were sent to all clinics across the region. Promotional materials and education sessions for healthcare practitioners spread information about the program. After enrolling more than 500 doctors in nearly 40 clinics across the entire region, a public education campaign employed television advertising and a poster campaign using municipal buildings, public transport and outdoor advertisements to sign up many thousands of patients. Tamara Yachmentseva was one of the earliest beneficiaries. She began regular medical checks and monitored her blood pressure twice a day. She enrolled in exercise classes and received dietary advice, reducing her intake of salt and fat in favor of more fresh fruit and vegetables. The imperative was not just to change patients’ habits. Dr. Eregin himself experienced a wake-up call during the program after a colleague tested his blood pressure. A one-time heavy smoker, he was shocked at the readings. The doctor says he too is now benefiting from participation in the hypertension program. “I put on a few kilos when I stopped smoking but I am undertaking regular exercise and I feel in better health,” says Dr Eregin, adding that he believed his own experiences would help convince some more reluctant patients to change their lifestyles. So promising was the program’s outcome in Yaroslavl that the project’s leaders have presented the results internationally. The Russian Federal Ministry of Health in Moscow cites the project as a an example of successful collaboration and discussions are now ongoing to see how the lessons learned during the program can be applied to other regions. For Novartis, the Yaroslavl program is one of several healthcare system initiatives underway around the world. These include another hypertension project in China, an asthma program in the United Arab Emirates and a diabetes project in Russia, all aimed at helping patients live longer and with a better quality of life. Back in Konstantinovskiy and fueled by a healthy midday snack, Tamara Yachmentseva heads purposefully back to the town’s kindergarten for an afternoon’s work. As she leads a dozen of her young charges in an energetic conga dance across the playground yard, it’s hard to believe that five years ago this vibrant septuagenarian was lying near to death in the hospital.